Flexibility, customisation and product development are important key values for us here at HYDAC / Nordhydraulic. We are currently in the midst of a highly proactive phase. A targeted initiative that, more than ever before, puts the customer in the centre, collaboration at the top and a focus on development. Coupled with 50 years of experience in the business, this makes us the natural number one choice when it comes to hydraulics for mobile applications. Furthermore, our network of top-quality suppliers and partners provides us with the capacity to serve and satisfy all customers. Cutting-edge expertise is constantly at hand and you, our customer, can always rely on receiving the very best. In every situation. We work as closely with our customers as possible through every stage of the process. Indeed, we consider our technical network to be a particularly vital part of our future customer support service. Our own sales companies and carefully-selected distributors enable us to maintain a high level of technical expertise in our direct contact with all our customers. No matter where you are in the world. 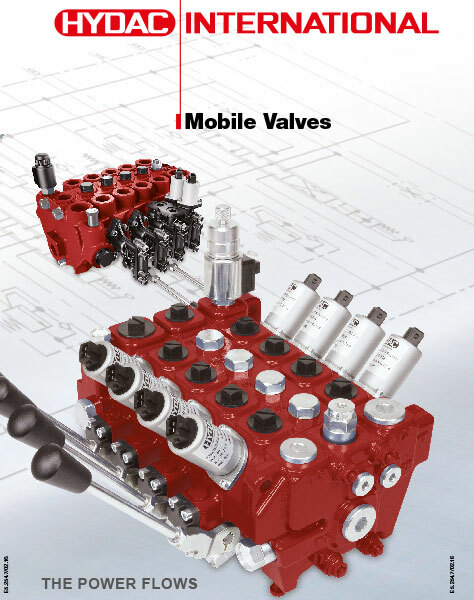 Our Mobile Valves are the ideal solution for all mobile applications in order to ensure the supply to all consumers!